You Are the President of Your Own Personal Services Business – Whats your superpower? This is the message I want to give to my plumber, electrician, painter, and ANYONE who is struggling and thinking that what they do is not important or doesn’t pay enough. Whether you are an electrician, a doctor, a lawyer, a plumber, a consultant or a “grass cutter”- the going rate seems to start at $300 per visit. Think about it. The other day I had a guy come to remove some stuff from around my yard to take to the Dump and he said that it’s $350 a load. Someone came to give me a quote for cutting the grass in my yard. He said that it would cost me $400 and an extra $150 to take the cuttings away! In case you are not doing the math – that is $550 per grass cutting session. And I have to cut my grass twice a month in the rainy season. Go figure! Why then are tradespeople (I hope I am politically correct using this description) ALWAYS complaining about money? I think it’s less about the kind of job and more about the kind of thinking. Production, quality control, training and development, marketing, finance, and promotion are all in your control. Seeing yourself as self-employed forces you to recognize that you are also self-responsible and self-determining. That everything that happens to you happens because of your conduct and your behavior. You’re in the driver’s seat. You’re behind the steering wheel of your life. It’s up to you to decide how to utilize your talents and abilities in such a way as to bring you the very highest return on the investment of your time and energy. I recently employed a painter who did a less than stellar job. All he was focused on was drawing down on the agreed project $ figure. He would come, do some painting, then ask for $500. In the end, he seemed upset when we pointed out that an area needed another coat of paint, or where needed to be painted or the fact that we were seeing blue in the white paint and blue on the door knobs. All he could focus on was why wasn’t I giving him his money. I attempted to explain that after giving him the first 50% of the job, that he should only receive the balance when the job was completed to my satisfaction. He kept explaining that he owed money to taxi drivers, that his children needed money for school etc. etc. I told him that the quality of his work was like his personal signature and reputation. That it spoke volumes about him long after he left. 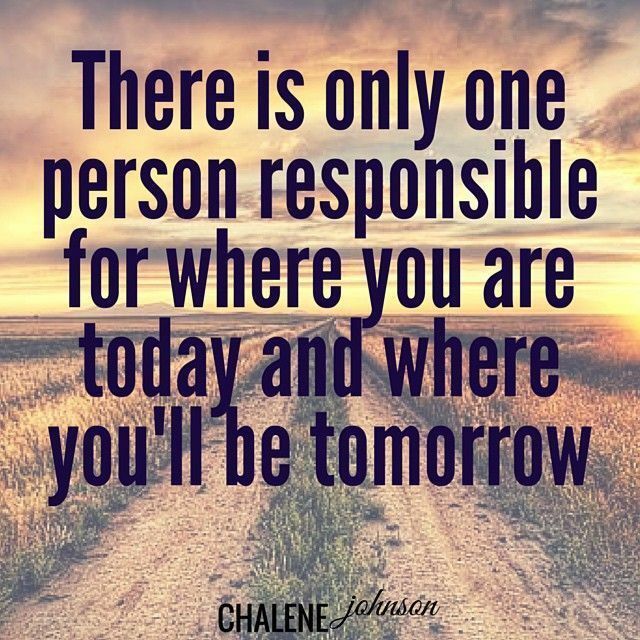 You are responsible for making a living. People can give you opportunities, advice, or guidance but it’s up to you to use and apply it to improve what you do, and how you do it. You’re the boss. No one else can make the critical decisions that will determine your future OR your fortune. Previous postThe Key to Success is to Get Moving and KEEP MOVING! Next postIf You Chase Money, Money Won’t Come!